Barbours Creek is a fine stream that suffers from insufficient waters thus resulting in it being listed as NSF Virginia stream. 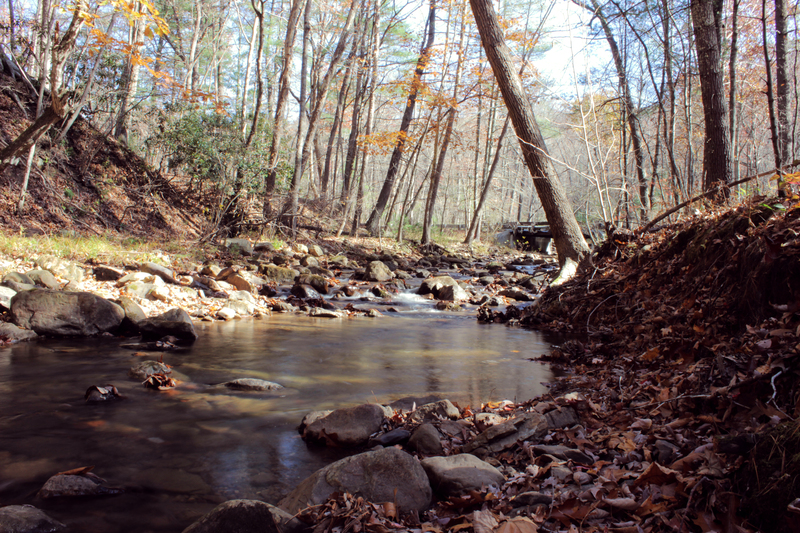 However when the water is up and the state stocks this stream, Barbours Creek is one of the only streams that carries trophy sized brook trout. 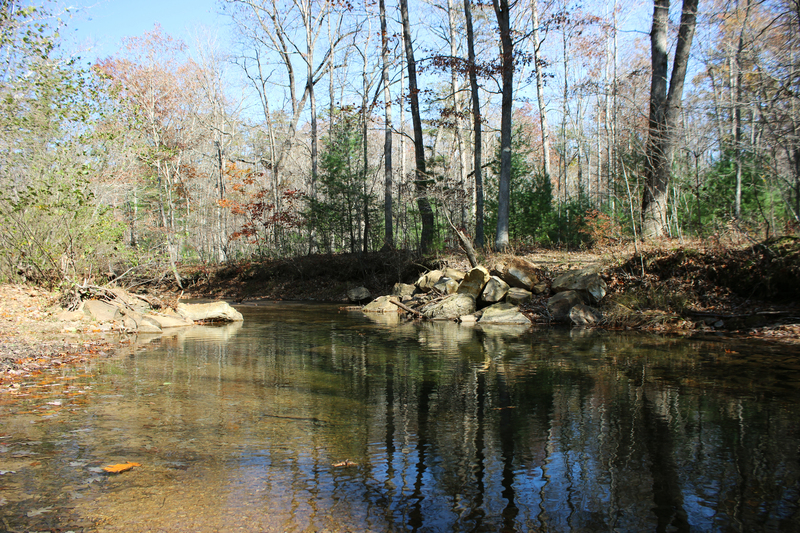 In fact brook trout is the only species of trout that the state of Virginia stocks in Barbours Creek. According to the Virginia Department of Game and Inland Fisheries website Barbours Creek had twenty two brook trout citations just in 2013-2014 season, with the largest brookie weighting in over four pounds. The stream itself is a beautiful Virginian mountain stream. Actually I would say it is a bit more than that, it is simply breathtaking. 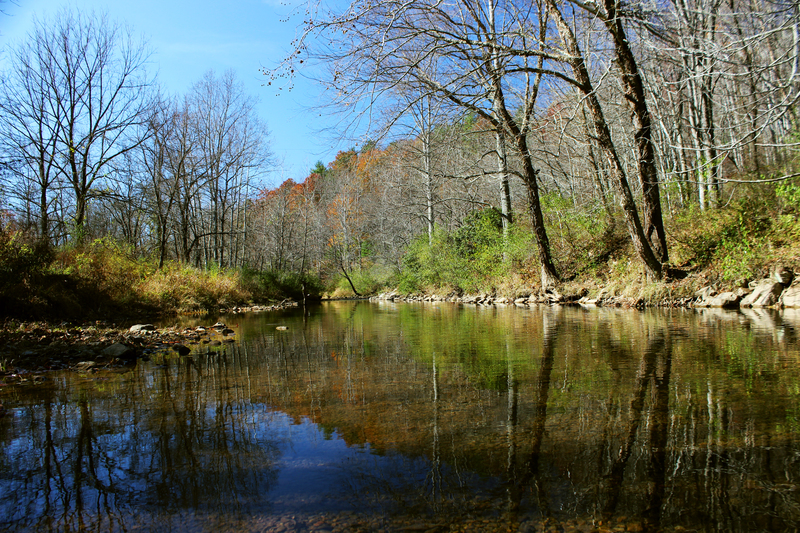 Because of its location in the highlands of the Jefferson National Forest in Craig County, Virginia, Barbours Creek is virtually untouched by civilization. You are not going to see the all to normal stream side trash, what you are going to see is crystal water that mirrors the forest that surrounds it. 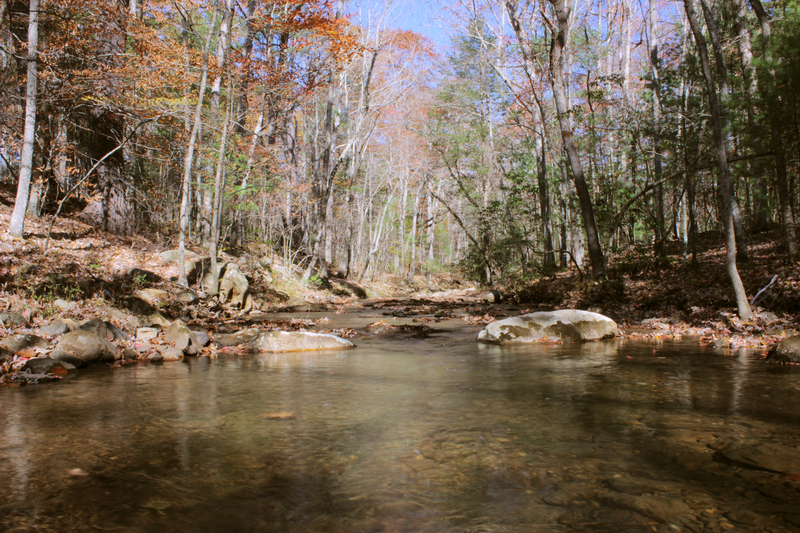 Though Barbours Creek is a very lengthy stream that flows into Craig Creek, the state of Virginia only stocks a four mile stretch of water near the Potts Mountain Jeep Trail. 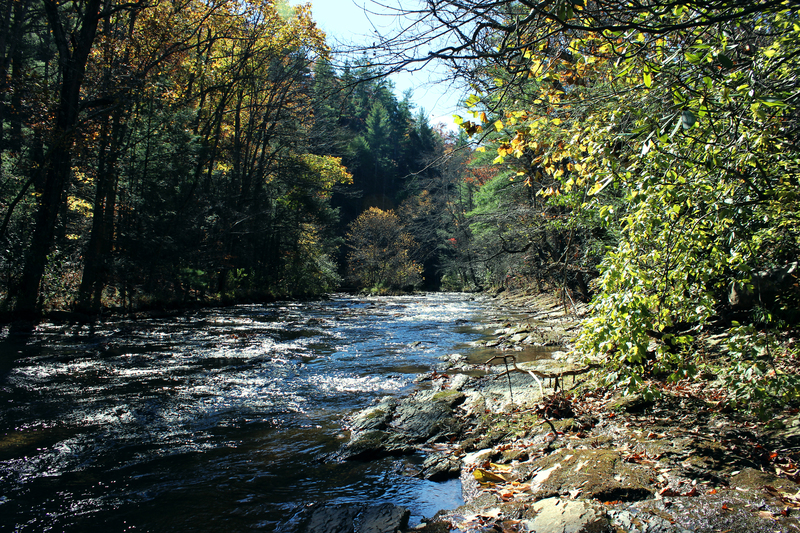 Within this stretch of water prepare for many riffles and countless deep holes, with brook trout hiding in at almost every turn. Really you could park about anywhere within this stretch and catch your limit, however I suggest using the camping and parking areas that you will find. Usually by doing so you are going to find the deepest holes in Barbours Creek. If you are adventurous I suggest trying to fish the South Prong of Barbours Creek, you will find a lot of native brook trout lying in wait that have not seen heavy fishing pressure. Because you will be in the back country I suggest taking the proper precautions: notifying someone where you will be at and when you will be back, taking food, water, and a med kit. Also you will be in an area that is a very popular place for hunters, make sure you wear some type of blaze orange and take the proper precautions when it comes to personal protection from wild animals. You will get the occasional cell phone signal but do not count on having this throughout your day. From Main Street going towards 460 West, turn right onto Mt Tabor Rd. Continue on Mt Tabor Rd for 10.8 miles until it merges with VA-624. Continue on VA-624 for 7.7 miles. Turn left onto VA-311 N and follow road for 10.3 miles. Turn right onto State Rte 615/Market St in New Castle and follow road for 2.8 mies. From here make a slight left onto VA-609 and continue for 2.2 miles. Turn left on to State Rte 611 and follow for 3.2 miles, by now you will see Barbours Creek on your left. Turn right onto VA-617/Barbours Creek Road continue for roughly 2.3 miles until you see the first Virginia State Stocking Sign, this sign is closely located to the Potts Creek Jeep Trail. Take exit 141 for VA-419 toward VA-311 N/Salem/New Castle. Turn left on to VA-419 N, then turn right onto VA-311 N. Follow VA-311 N until you reach New Castle, Va. Turn right onto State Rte 615/Market St in New Castle and follow road for 2.8 mies. From here make a slight left onto VA-609 and continue for 2.2 miles. Turn left on to State Rte 611 and follow for 3.2 miles, by now you will see Barbours Creek on your left. Turn right onto VA-617/Barbours Creek Road continue for roughly 2.3 miles until you see the first Virginia State Stocking Sign, this sign is closely located to the Potts Creek Jeep Trail. 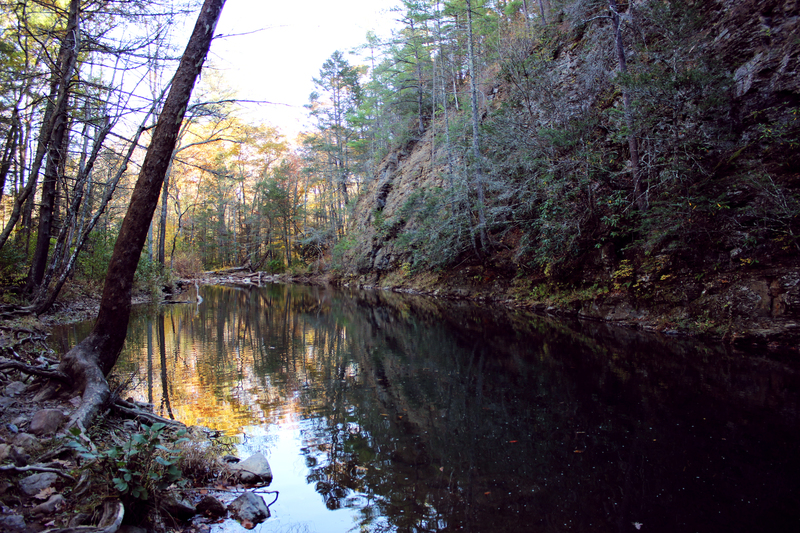 If you are looking for a remote spot to fish, miles away from anything or anyone, then Potts Creek is the place to go. 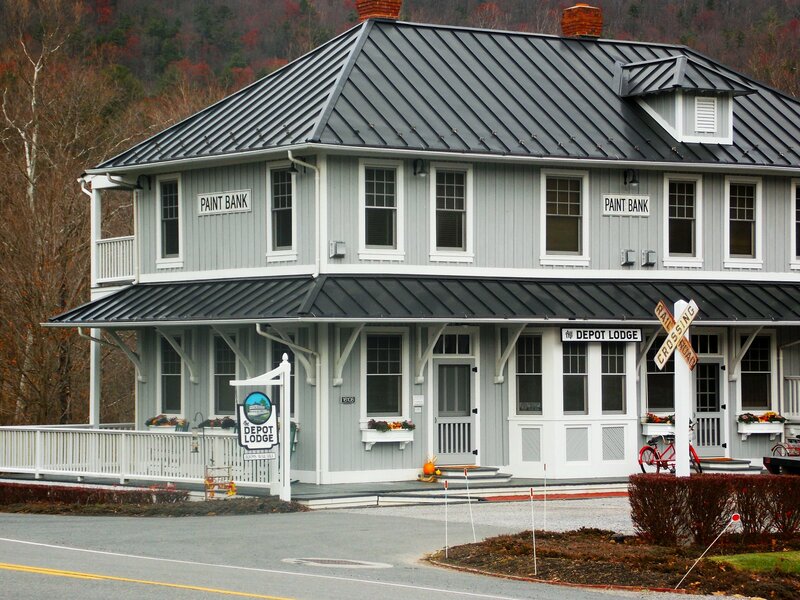 Located in Craig County, Virginia near the town of Paint Bank, Potts Creek is a bit bipolar when you talk about its characteristic’s. 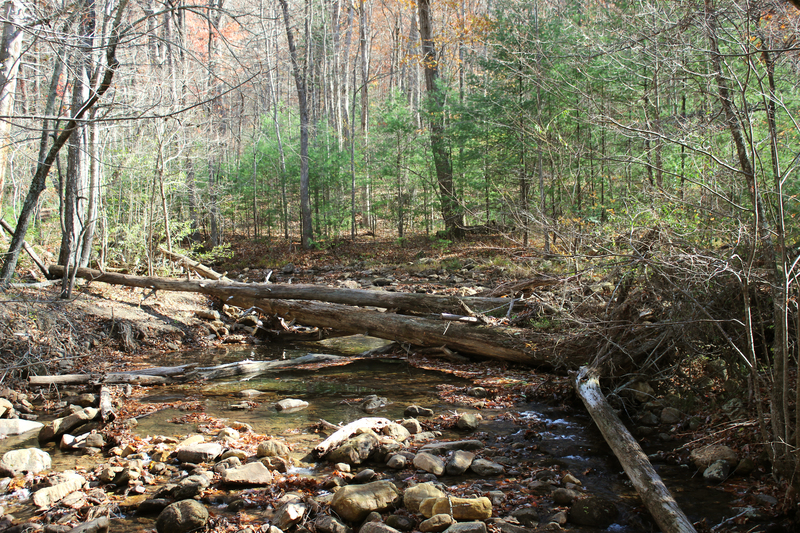 Within the four mile stretch of stocked water this stream goes from a meandering field stream to a rocky freestone mountain stream. Needless to say when you fish Potts Creek you need to have a plan of attack. 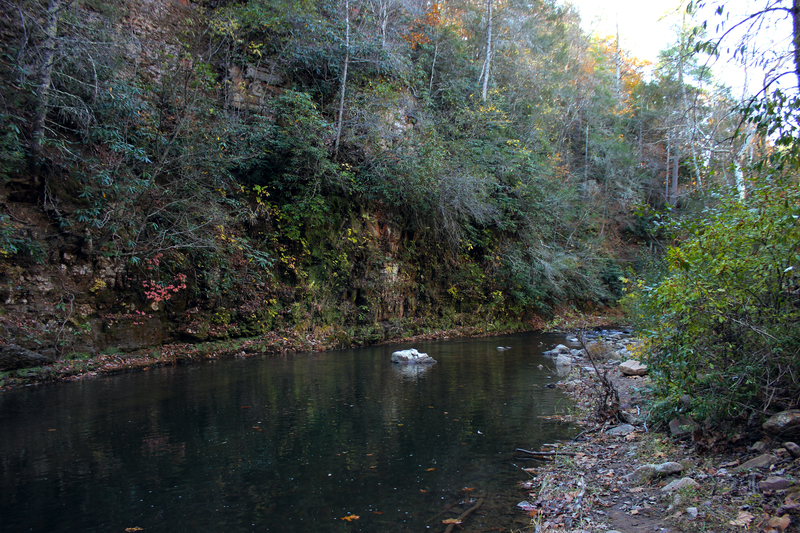 The easiest way to approach fishing at Potts Creek is to break the stream down into two sections; the Butch Fields Section and the Steel Bridge Section. By doing this you can eliminate certain elements, such as parking and posted land, that could hinder your day fishing at Potts Creek and it will also help you when it comes to planning what to bring. The Butch Fields Section is a fairly wide area that can be best describe as a field stream. The water here is slow moving and often not that deep hitting just below the knees. In fact in this area the deepest water you will find will be located along the banks of the stream where trees have fallen or where the stream has washed away the roots of a tree. When fishing this area bring a small fly rod, dry flies, non-weighted nymphs, and a few streamers. Do not use a large suspension device in this area, instead use a large terrestrial or attractor fly combined with a smaller nymph dropper or a yarn strike indicator and a small nymph. Pay close attention to any surface activity and make sure you hit the deep holes with some streamer action. The Steel Bridge Section of Potts Creek is a typical mountain stream area and it is my favorite section of Potts Creeks. From the day use parking area you will find a small trail that leads to the creek, once at the creek you will find a hole that is easily 5’-6’ deep and 20 yards long. The water here moves very slowly but it holds monstrous trout, honestly you could easily spend your entire day just fishing this one hole and have great day fishing. However if you continue fishing down the stream from this hole you will find areas that are just as prime as this one. Just below this hole is an area that is nothing but a slate rock riffle/rapids area that holds trout in almost every deep rapid. And on below here the stream settles back down into a freestone mountain stream with flat deep areas. If you don’t feel like walking down the slate riffles you can always fish the area near the parking lot and then walk thru the campground to get to the freestone area. For all of these sections I use my 9’ rod, dry flies, and nymphs. If the fish are not hitting top water dry flies I stick to a multi (weighted) nymph rig and a suspension device. The size of the suspension device will be dictated by how deep you need to get your nymph, but really you could use a small thingamabobber throughout the whole section and be fine. This area is located in the Jefferson National Forrest and because of its seclusion one must keep in mind back country safety issues. There is little to no cell phone service here, I would highly recommend telling a friend or a relative that you are going here and a general time you will be back. Likewise make sure you bring plenty of water, some non-perishable food, and a med kit in case of an emergency (the closest hospital is over an hour away). Lastly, I suggest bringing bear mace because you will be in area that bears are known to be in. 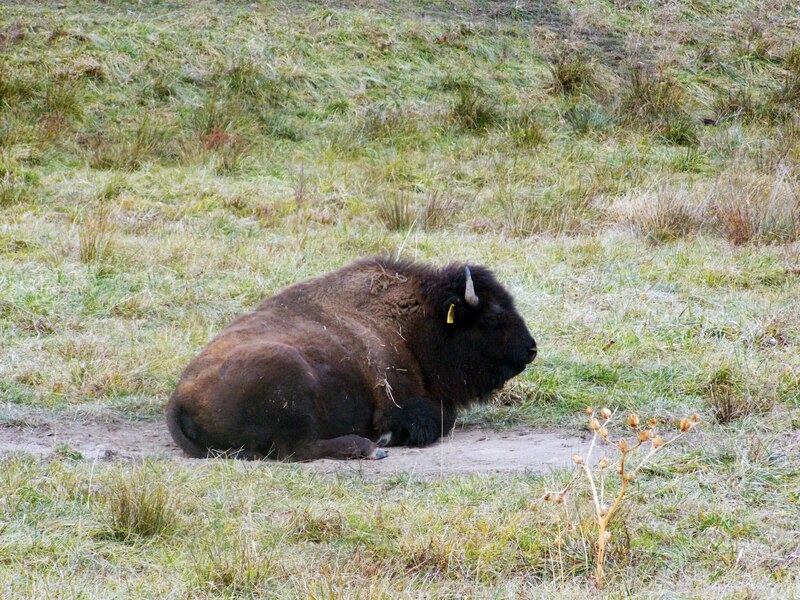 Additionally here are a few places of interest you can stop by in Paint Bank if you have enough time; the General Store, the State Fish Hatchery, and the Buffalo Farms on VA-600. Turn on to E Roanoke St; make slight left onto Owens St, Turn Right on Harding Ave/VA-785. Continue to follow VA-785N for 13.1 miles. Turn left onto State Rte. 697 then turn right onto VA-624. Follow VA-624 for 4.5 miles. Turn left onto VA-311 N and follow it for 28.3 miles until you get to Paint Bank. Potts Creek will be the stream you pass over. Turn right on to VA-18 N and you can start fishing from here. Take exit 141 for VA-419 toward VA-311 N/Salem/New Castle. Turn left on to VA-419 N, then turn right onto VA-311 N. Follow VA-311 N for 35.6 miles until you get to Paint Bank. Potts Creek will be the stream you pass over. Turn right on to VA-18 N and you can start fishing from here.